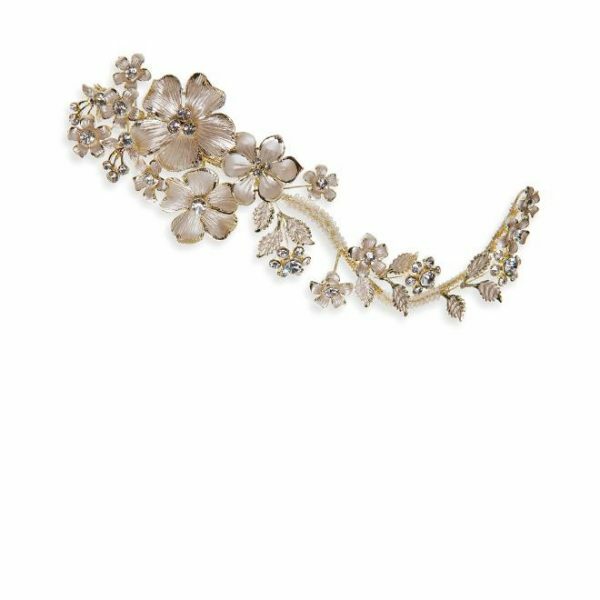 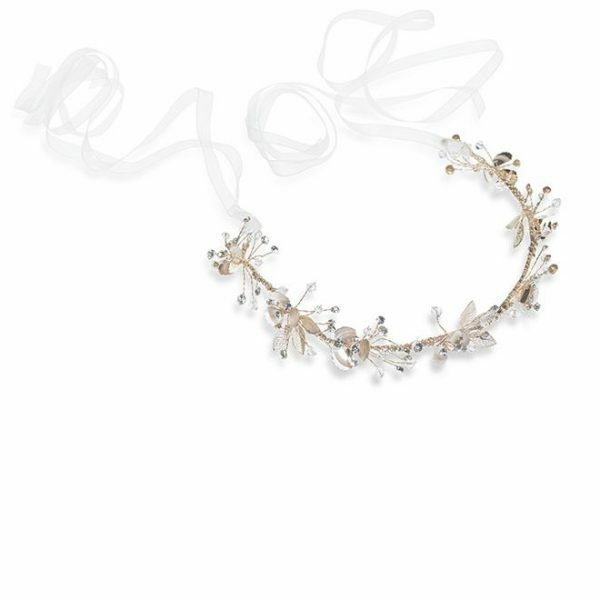 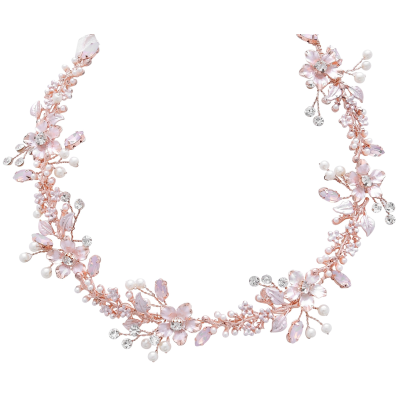 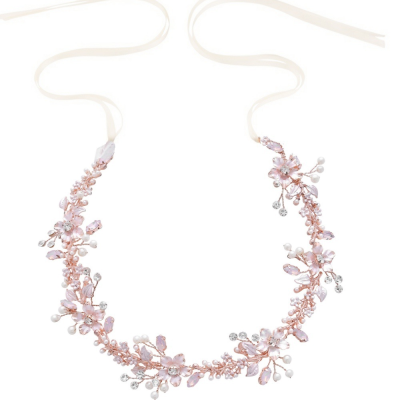 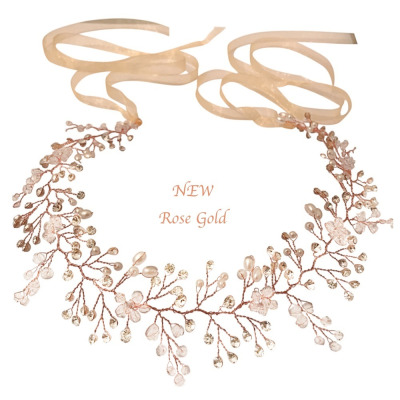 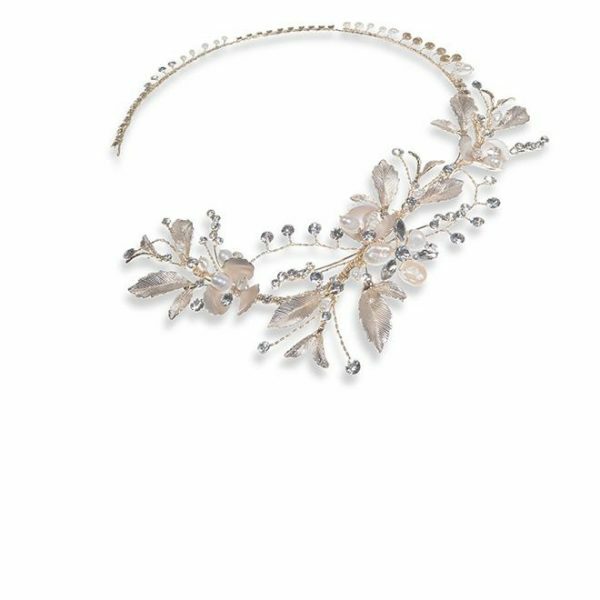 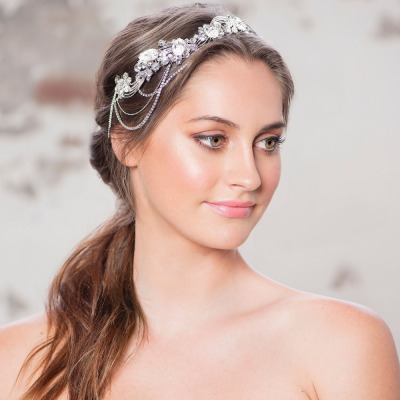 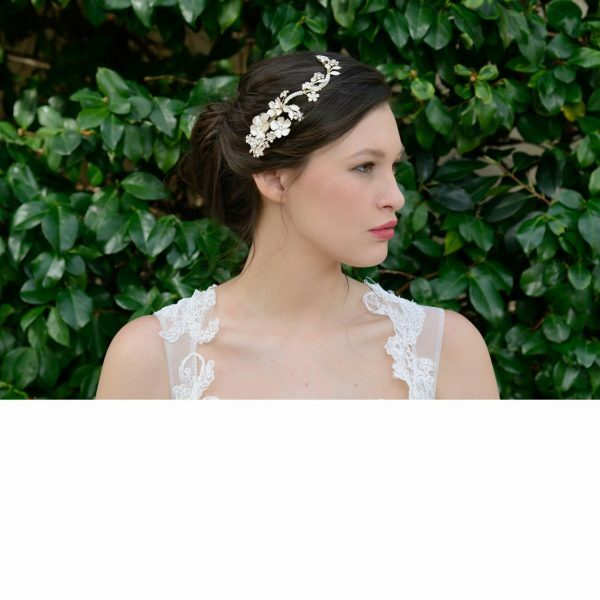 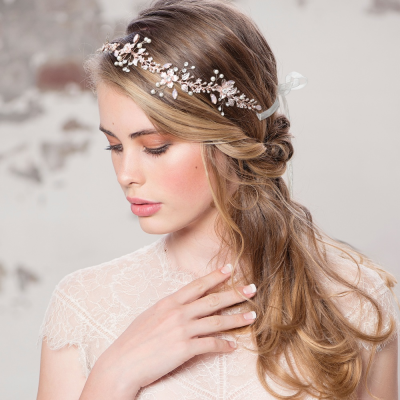 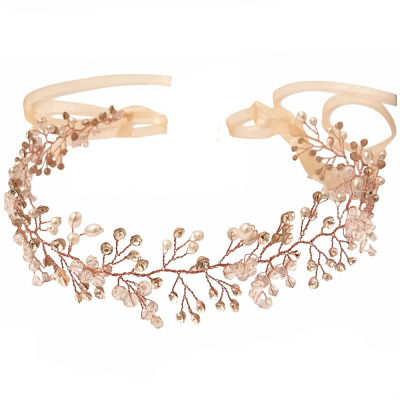 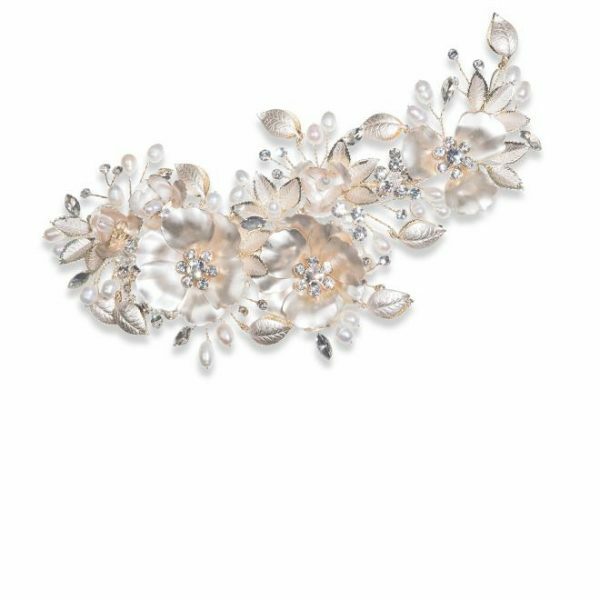 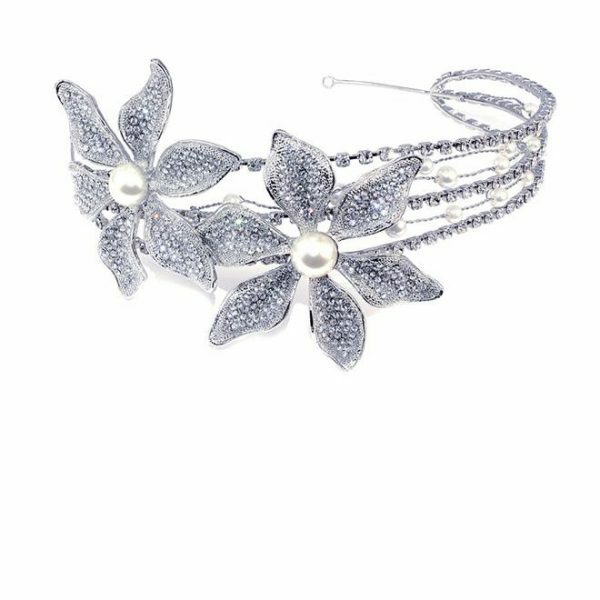 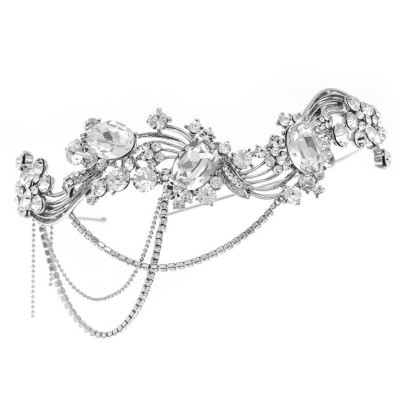 Enchanting blush pink hair vine – intricately designed with attention to details – embellished with simulated ivory pearls and blush pink crystals and hand painted blush pink flowers on a rose gold finish. 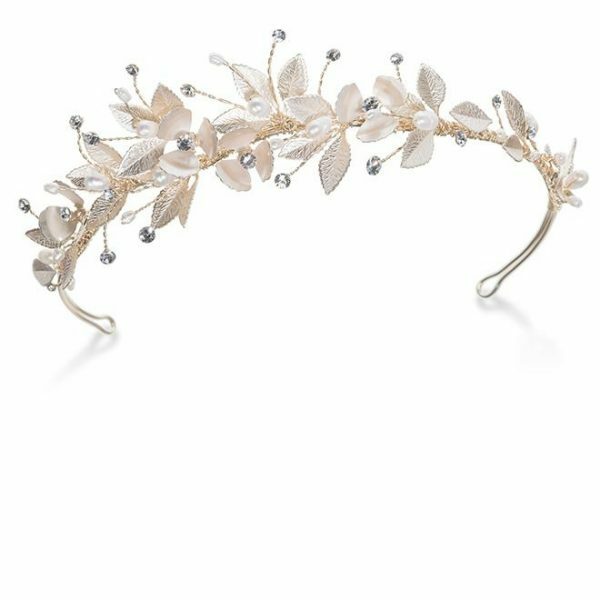 Complete with white ribbon. 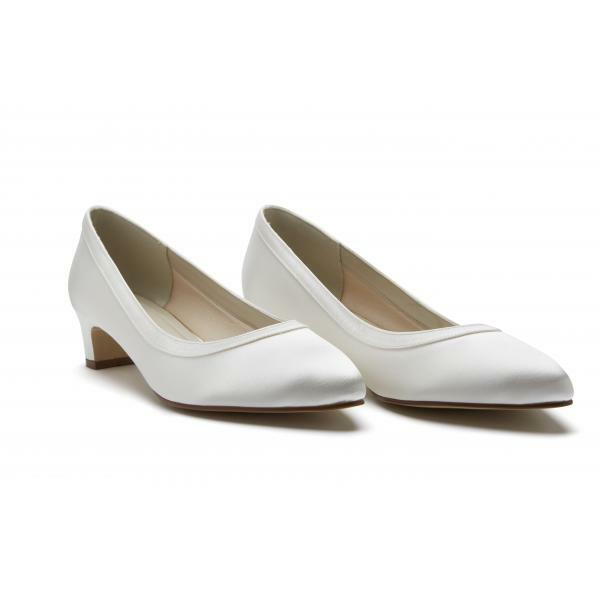 Size is 33cm long and 3.5cm wide at the wides point.